Hello ladies! 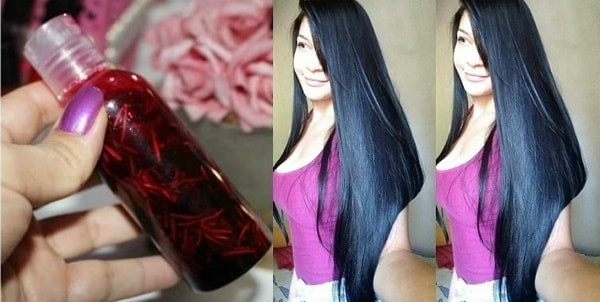 Do you want to learn how to make homemade hibiscus oil for fast hair growth? Today I am showing the simple way to prepare this natural oil. The hibiscus flower is used for slimming process, as well as it is very beneficial for hair. Hibiscus flower is one of the best herbs to use for hair growth. This flower has many properties for hair growing, stop hair fall, control dandruff, and prevent premature graying. But, how it will work? Read on to find out. 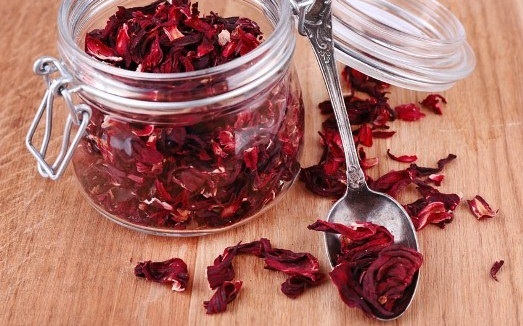 Mash the dried hibiscus flowers with your hands and put them in the bottle where you will store the mixture. Now add 100 ml olive oil into the bottle, cover the bottle and shake it well. Keep the bottle in room temperature and let the mixture rinse for at least five days before use it. During this period, shake the bottle whenever you remember so that the substances in the hibiscus flower will be mix with the olive oil. Apply the hibiscus oil on your dry hair from root to tip. Using fingertips, gently massage on the scalp and on the hair, hair ends. It is suitable for all hair type. After massage, wait at least for 2 hours and then wash the hair with shampoo and then apply the conditioner. Also you can keep the oil overnight and wash hair in the morning. Follow the process twice a week.